Lisa Antoszweski was the mentor of this year's iGEM team. 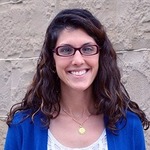 She is an assistant professor of biology at Grove City. With her knowledge and experience in molecular biology, she has offered great support to the team.